Free for up to 2,500 subscribers & £15 per month for each 10,000 additional subscribers. 100% money back guarantee. 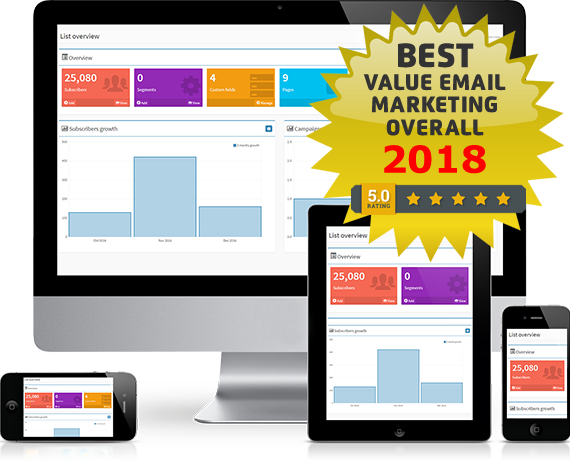 Our email marketing software provides 99% of the features of the market leaders. Select and customize templates with our user-friendly interface. Custom sign up forms, automated unsubscribe, single or double opt in system, email blacklist system, custom list forms, transactional emails. Data list management. Segmentation based on any data values. Send emails based on events such as open / click. Move subscribers to another list. 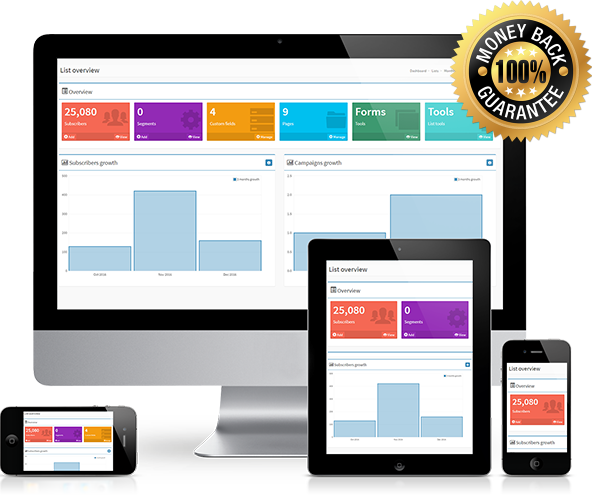 Open & click tracking, device tracking, Google Analytics integration, automatic bounce management. 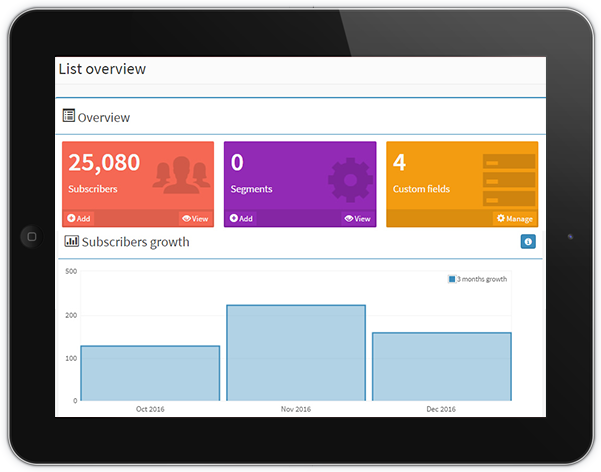 Full advanced graphical statistics and raw statistics export. Personalisation of To, Subject and Body areas with any custom data. Unlimited custom data fields. Pull in data from RSS/Json/Webpage feeds for automatic email sending. Autoresponder campaigns. DKIM signing. Full suite of APIs (Restful API & SDK). You hate false promises, right? So do we. Our email marketing system & what we say comes with a 100% Money Back Guarantee. There’s a free demo (of course) so you can check out the system. If you move to a paying customer, use the system for a month but aren’t completely satisfied, we’ll refund 100% of what you’ve paid. No questions asked. For a detailed comparison with other suppliers, see our lowest cost email marketing prices page. Does what it says on the tin. Robust system with all the features we need. Excellent, personal support at an amazing cost. Thanks guys.